My name is Patricia Gutiérrez. I’m from Doblas, a small village in La Pampa province and live in Buenos Aires city, Argentina. I have been working as an independent assistive technology consultant & trainer for the last 25 years, providing training services for people who work with children with special educational needs such as cognitive and physical disabilities, autism, Down syndrome, Angelman syndrome, sensory difficulties, language and complex communication needs among others. My focus is on the use of technology in the areas of AAC, literacy and accessibility. I do believe that every person can learn, and that technology can play a huge difference in the lives of people with disabilities to reach their fullest potential. I consider myself a lifelong learner and having the opportunity of being the Teacher in Residence at The Bridge School is not only an honor, but also a wonderful, amazing opportunity in my life to improve my background knowledge. I will do my best so that it will also be an opportunity to better serve the kids, families and therapists I have been working with in Argentina. I do hope this will be an opportunity for them, too. My name is Carmen Valcu, I’m from Bucharest, Romania and I have been a Special Needs Teacher since 2009, in a class formed by students with severe, profound, associated intellectual and communication impairments. I have also worked as an ABA therapist for a few years and as a Speech and Language Pathologist after graduating with a Masters in Language and Speech Therapy. I worked with children who have special educational needs such as severe mental disabilities, autism, ADHD, Down syndrome, neuromotor impairments, behavioral difficulties; all of them had complex communicational needs that limited their day-by-day life. Being the Teacher in Residence at The Bridge School is an amazing enriching experience, from which I already gained new skills in the field of Augmentative and Alternative Communication, that will give me the appropriate strategies to maximize the potential of every child I interact with and to use new approaches in managing the communication difficulties of their everyday existence. The 2014-2015 Teacher in Residence is Krithika Venkatraman from Chennai, India where she is employed as a special educator at Vidya Sagar. Krithika has a postgraduate diploma in special education with an emphasis on multiple disabilities including physical and neurological impairments from Madras University and Rehabilitation Council of India. Her assignment at Vidya Sagar has focused on working with children with multiple disabilities ranging in age from 5 to 10 years.Krithika has a very ambitious agenda for her return to India. She will be working with the staff at Vidya Sagar on the implementation of the communication and educational strategies that she has found effective at The Bridge School and in that she believes can be integrated into the culture of the school in Chennai. 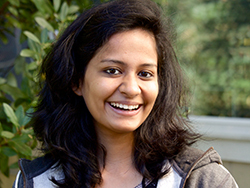 Changing practices and introducing different approaches is difficult, however, Krithika is up for the challenge. Vidya Sagar was founded in 1985 by the mother of a child with a profound disability. The program started with three students and three staff members with the initial focus being a parent training program. Its objectives were to work on strategies that would empower parents of children with neurological impairments to include their children within their homes and support their inclusion in the community. The institution has expanded to run programs reaching out to over 3800 individuals with disabilities. The success of Vidya Sagar is predicated on providing high quality services, focusing on early intervention, special education, physiotherapy, speech and communication therapy, vision training, occupational therapy, co-curricula activities, counseling and vocational training. In addition, there are opportunities for exploring and creating employment and training of resource persons to work in the field of disability. Madhumita has a Bachelor Degree in Special Education (Locomotor Impairments and Neuromuscular Disorders) and is currently working as a Research Assistant in Indian Institute of Cerebral Palsy, Kolkata, India. 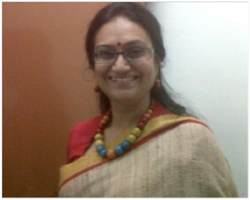 After a very successful teacher in residency, Madhumita Dasgupta returned to her position in the Indian Institute of Cerebral Palsy in Kolkata, India. Madhumita had developed a very extensive plan for disseminating what she had garnered from her stay at The Bridge School and had already gathered support from her colleagues to begin the implementation of the ideas and strategies that she had found effective and felt would work within the school’s environment. Working with the school’s administration and management, Madhumita began the process of working with the classroom teachers, students, and families to integrate the ideas and strategies into their school culture. 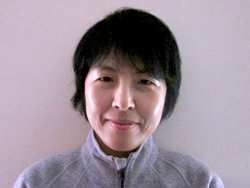 Kyung-Im has a Ph.D degree in Special Education and is a professor in the Department of Special Education at Changwon National University in South Korea. 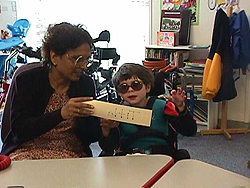 She has taught about education for children with physical and multiple disabilities, individualized education program, and special education instruction.Based on her experience during the Teacher-in-Residence program at The Bridge School, Kyung-Im has plans to implement augmentative and alternative communication instruction in the special education curriculum and to start an AAC clinic for children in her university. The clinic will become a center for providing information about AAC intervention and support to teachers and parents with children with special needs in the southern region of Korea. She has plans to develop teacher training programs and workshops for AAC intervention in the classroom. In conjunction with other leaders in the field of special education, she is working to organize an international conference for AAC intervention in her university scheduled for June 2012. The Bridge School will participate in the conference. 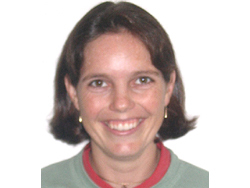 Kirsty Gillian Nourse is a speech and language therapist and audiologist working in Durban, South Africa for Pathways-Kloof. In her capacity as Academic Principal, Kirsty runs her own class, provides clinical supervision for university students, facilitates programs for all the children in the school and oversees a home program for children unable to attend school on a regular basis. An exciting new venture Kirsty has been involved in is the recent formation of a national body linking 8 Pathways schools around South Africa and developing standards and a peer review process for the organization.Kirsty also has a Masters degree in Early Childhood Intervention which focused on child development and family centered practices. Pathways-Kloof serves 37 children ranging in age from 2 to 18 years and Kirsty employs a child and family centered approach in developing programs for these youngsters. Kirsty’s multidisciplinary work throughout her career will give her an added advantage in her internship at The Bridge School as this approach is a central feature of our programs. Important aspects of the Teacher-in-Residence program is the ability of the interns to disseminate the skills and knowledge gained through the experience once they return to their home country and the support they can expect from their institutions and colleagues. Kirsty is in an excellent position to provide training and knowledge translation as she currently has the responsibility of providing staff and student training in Pathways-Kloof and is working nationally with the other Pathways schools to establish standards and has the potential to provide extensive training throughout the system. Veronica is a teacher and Head of Department at the Tembaletu Lsen School, part of the Western Cape Education Department. Upon her return to Cape Town, Veronica began giving presentations about lessons learned while at The Bridge School. She is also teaching a class and leading the implementation of Assistive Technology services at her school. 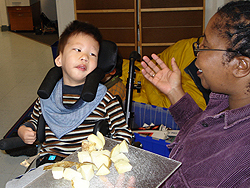 In the Spring of 2008, Bridge School staff and invited professionals provided training to groups interested in learning more about AAC/AT in Cape Town and Johannesburg. 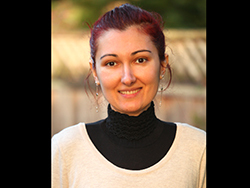 Veronica greatly assisted in the conference held in the Spring of 2008 by arranging for families and students to attend sessions. Gaby works with a student on a writing activity. Gaby is a speech pathologist specializing in AAC. Upon her return to Mexico City she started a clinic designed to serve this population. Additionally, she offers workshops and instruction to professionals and families in the greater Mexico City area. 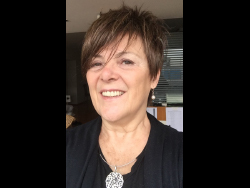 She recently helped to organize an international AAC conference for Central and South America making a great impact for the people of those countries. In April, 2009 CATIC (Centro de Apoyo Tecnológico para la Comunicación y el Aprendizaje) will host their 2nd Congress of Augmentative and Alternative Communication. CATIC has partnered with the University of Celaya for this event. The Bridge School will participate in the conference and offer presentations on multi-modal communication, effective communication and educational intervention strategies, as well as a presentation to parents. Dr. Sarah Blackstone, member of The Bridge School Board of Directors will also be a presenter at this conference. Conference details can be found on the CATIC website. View highlights from the conference organized by Gaby and presented by members of the Bridge School staff in Mexico City in the Galleries section. Implementing individual and group instructional activities. Sarah is a speech pathologist specializing in AAC. Upon her return to Singapore she worked with others to develop a clinic and education center for the use and implementation of AAC/AT. Her efforts have resulted in the availability of services to underserved populations, especially adults, in Singapore. Currently Sarah is the co-chair of the ISAAC Emerging Nations committee. Ala spent time in our Bridge School classrooms as well as traveling to conferences and connecting with professionals in the fields of special education, speech-language pathology and AAC/AT. She returned home with new ideas and strategies for improving the service delivery in her school and throughout Poland. Ala is credentialed in special education and speech language pathology in Poland and currently is working at the Szkola Podstawowa Specjalna Nr 150 in Krakow. She has implemented the use of AAC/AT tools and strategies for students throughout her school. She also serves as a leader in the area mentoring and instructing others in the inclusion of AAC/AT into daily lives. 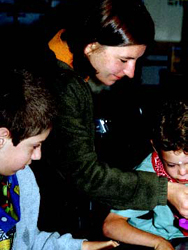 In May of 2002, 3 members of the Bridge School staff traveled to Poland to do a follow-up visit with Ala. The team spent time working alongside teachers in their classrooms and participated in team meetings to help problem solve and strategize ways to increase the use of AAC/AT within their classrooms. The Bridge School team also conducted two formal trainings in Krakow; one for parents of students at the school, and one for the professionals that work at the school. They spent 5 weeks in Krakow, living and learning about the culture, service delivery systems and meeting children and colleagues in Poland. Usha Dalvi was the first recipient of the Teacher in Residence Award. Currently, Ms. Dalvi is an instructor in speech-language pathology at a professional training program, the Ali Yavar Jung Institute for the Hearing Handicapped. While here, Usha developed a course outline and curriculum addressing AAC for professionals studying to become speech-language pathologists in her country of India.